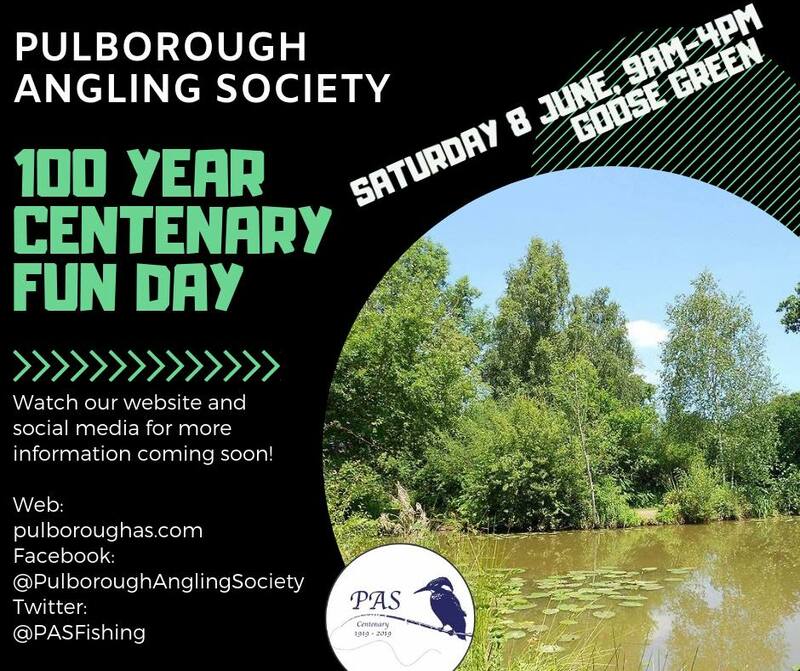 Pulborough Angling Society - Prime coarse fishing on eight lakes and seven miles of rivers. of river in the scenic Sussex countryside, No joining fees, No additional fees & competitive membership rates - JOIN TODAY! Please note that all our river sections as well as Brinsbury College Pond & the Mill Pond are closed until June 16th for the statutory closed season. A work party has been arranged for Saturday 4th May at Goose Green, details on our Work Parties page. We do not offer day tickets on any of our waters, our fisheries are strictly members only, membership is open to all, click Join Pulborough AS above to purchase your membership. From 1st April 2019, braided lines, both reel and hook lengths, are banned at Goose Green. We employ an active bailiff force who patrol our fisheries regularly. A copy of the Society rule book in PDF format is available for download here. Pulborough Angling Society est 1919.